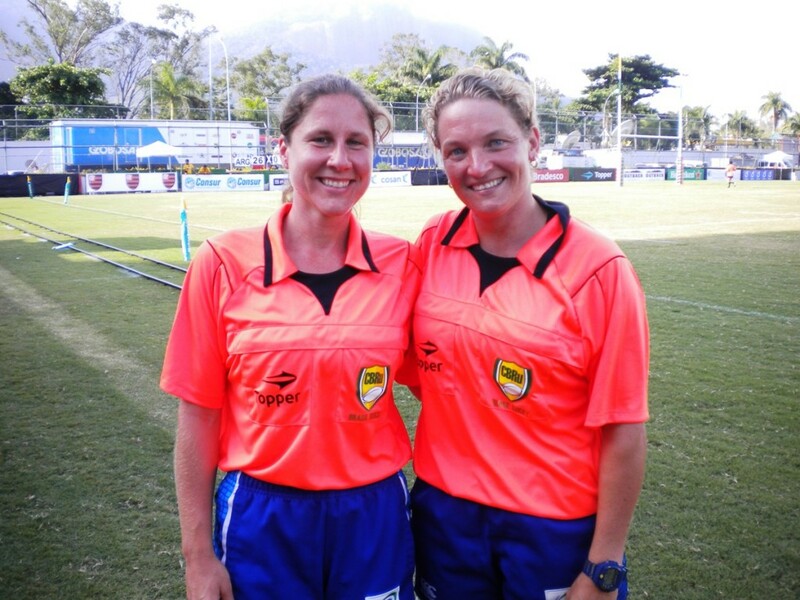 South Africa’s Marlize Jordaan (right) with Leah Berard from the USA, one of the top female referees in the world. South Africa’s Marlize Jordaan recently made history when she became the first woman to referee in an international sevens match for men in South America at the weekend. Jordaan, who represented South Africa in 2009 at both the Women’s Nations Cup in Canada and Women’s Sevens World Cup in Dubai, refereed the match between Peru and Paraguay at the CONSUR Sevens at the Club Regatas do Flamengo on Sunday, 24 February, in Rio de Janeiro. 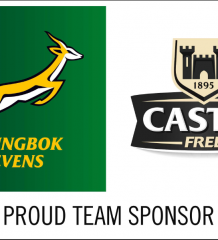 This tournament served as a qualifier for the Rugby World Cup Sevens 2013, which takes place in Russia in June. According to Bernd Gabbei, Referee Development Consultant for the International Rugby Board, Jordaan’s appointment for the match between Peru and Paraguay, was based on merit after a few superb performances in the women’s tournament, which was taking place at the same time. André Watson, SARU General Manager: Referees, said Jordaan’s achievement is one to celebrate for the entire South African rugby fraternity. “It’s not that common for women to referee in men’s matches, but Marlize has grown so much in her career as a referee, that we weren’t surprised when we were told of her appointment,” said Watson. At the CONSUR Sevens, Uruguay’s men and Brazil’s women have claimed the final remaining spots at the Rugby World Cup Sevens 2013, which will take place from June 28-30 in Moscow’s iconic Luzhniki Stadium.